The 154 electrical fatalities that occurred [in U.S. workplaces] during 2016 represent a 15% increase over the 2015 total. In 2016, 53% of all fatal electrical injuries occurred in the Construction industry. 1,640 nonfatal electrical injuries resulting in days away from work in 2016. Remind your workers to put safety first whenever working with or around electricity. Download the HSI infographic on electrical safety and post it in your break room or distribute it at your next safety meeting. You can download the infographic here. Turn off any electrical current before touching the person. If you cannot stop the flow of electricity, do not enter the area around the person or attempt to care for him or her. If the person affected is responsive and no longer in contact with the electrical source, look for burns at any suspected points of contact. Cool the burn as you would with a thermal burn. An electric shock can cause an abnormal heart rhythm in which the heart stops moving blood. When it is safe, perform CPR and use an AED if one becomes available. A person who has received an electrical shock should seek professional medical care because serious internal injuries can occur. This course helps prevent electrical accidents and fatalities from occurring by teaching your workers basic safety practices for working with or around electricity. Help prevent electrical accidents and fatalities from occurring by teaching your construction workers basic safety practices for working with or around electricity. Featuring footage from a variety of workplace settings, this course teaches any classification of worker how to identify potential electrical hazards, as well as how to prevent electrical accidents. 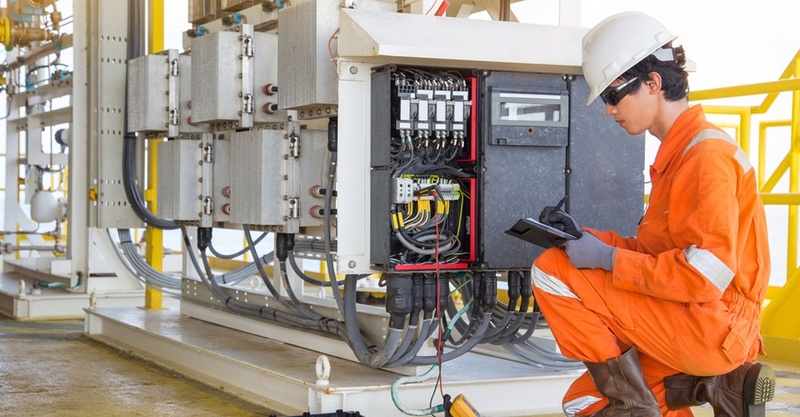 This course focuses on best safety practices, such as engineering controls, personal protective equipment and safe approach distances, to help keep workers safe when working with or near high-voltage electricity. This video explains the important changes and updates contained in the 2018 NFPA 70E and explains how electrical workers can be protected from both the shock hazard and arc flash hazard presented by exposed energized parts. For more on HSI’s solutions for workplace safety training, explore our website at www.hsi.com.